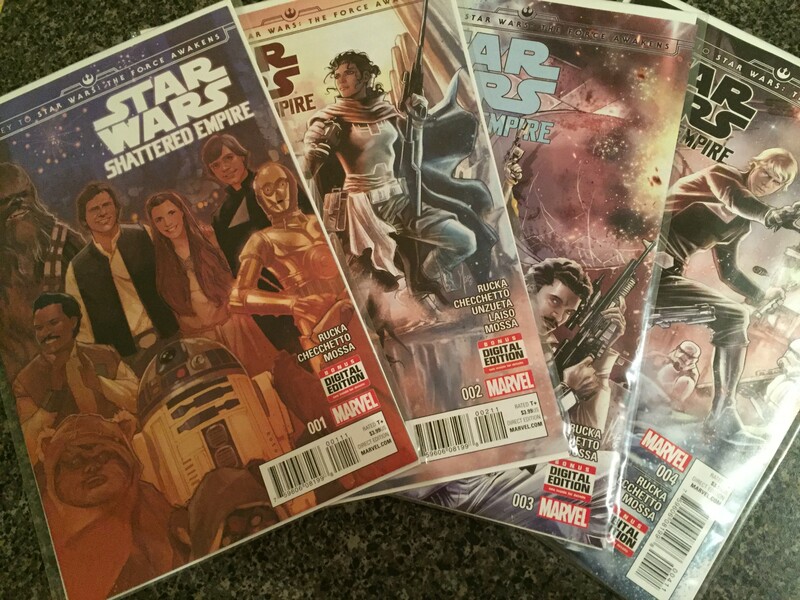 Star Wars: Shattered Empire issue 4 hit comic shops today, concluding the story. After reading the final issue, I can confidently recommend the series to pretty much anyone anticipating The Force Awakens. Shattered Empire is incredibly approachable and new-reader friendly- all you really need to enjoy it is a passing familiarity with the films. The book begins where Return of the Jedi ends: The Battle of Endor. As you may have expected from the mere existence of the upcoming sequel film trilogy, the death of Emperor Palpatine did not result in a “happily ever after” for the galaxy. The miniseries has original trilogy favorites interacting with new characters, two of which have a pretty direct tie to The Force Awakens. 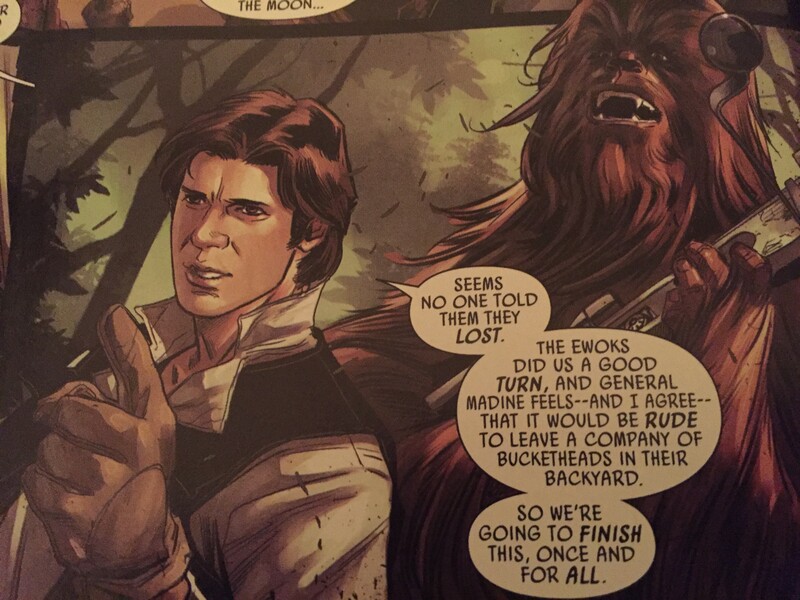 The story has everything you’d want from a Star Wars yarn- space battles, romance, a lightsaber, Ewoks… It’s a gorgeous comic, and the dialogue and images flow smoothly from panel to panel. My only real complaint with the book is that it goes by a bit too quickly. I became pretty invested in the story of the two main characters, Shara and Kes. I found their story, despite the space battles and daring rescues, surprisingly grounded and relatable. While I thought the ending was excellent, I wish I had been able to spend more time with them. Categories: Comics, Star Wars, The Force Awakens | Tags: Comics, Marvel, Shattered Empire, Star Wars, The Force Awakens | Permalink.